Happy Friday, Maharanis! 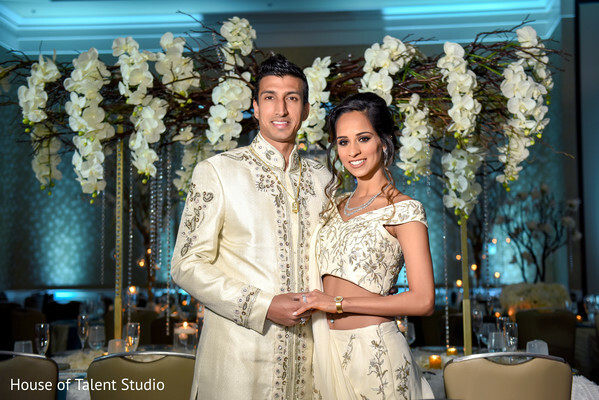 We're ending the week on a high note with this fabulous Indian wedding reception at the Hyatt Regency Long Island! 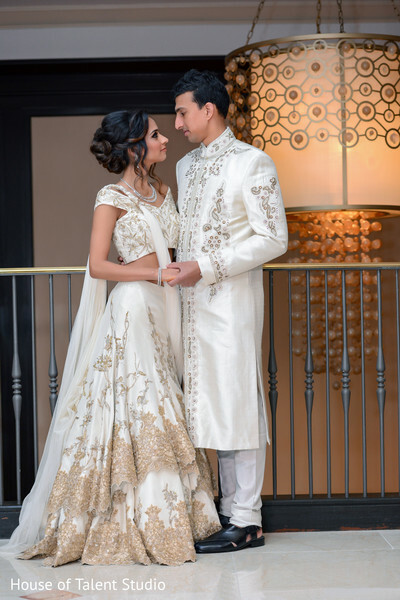 For the event, our Indian bride wore a stunning, sophisticated white lengha, which featured both gold and silver embroidered plants and birds! 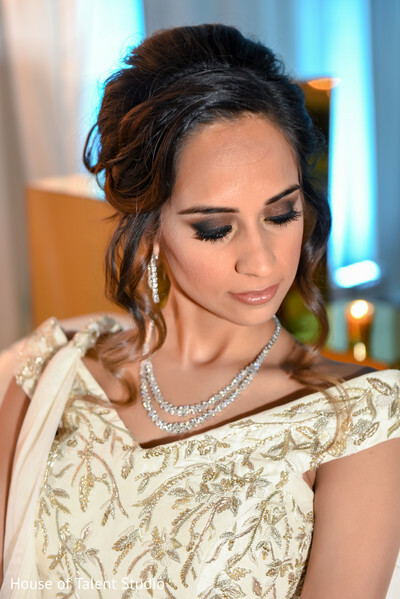 With a gorgeous makeup look from KC Makeup by Karuna Chani, our Maharani was ultra dazzling! 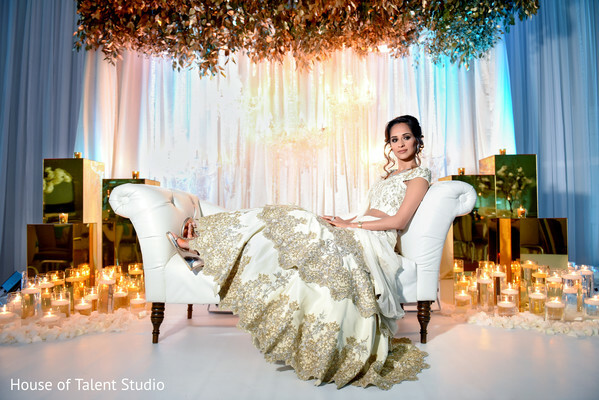 We'll return soon to show you all the magic Touch of Elegance Event Planners carefully planned into this shaadi, but for now, check out all the adorable portraits of the Maharani and her Raja that House of Talent Studio took below and in the full gallery! Come back to see all the divine reception details! 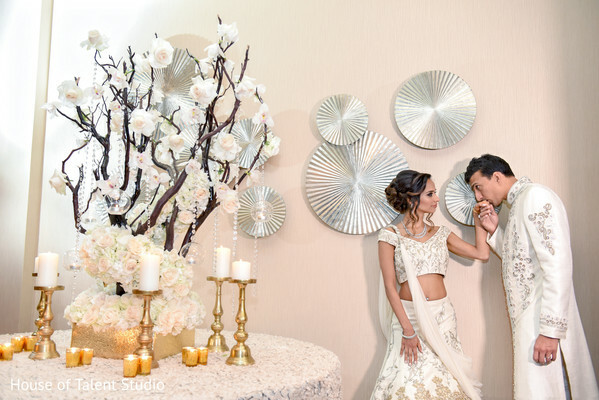 KC Makeup by Karuna Chani, House of Talent Studio and Touch of Elegance Event Planners are members of the Platinum Guide. Love what you see? Explore their portfolios.